Planning and Designing Company for Weddings in Italy. Italian wedding planners delivering meaningful and elegant weddings in Italy from Portofino, Lake Como, Tuscany, to Puglia and Amalfi Coast. I am a British wedding planner in Tuscany, I specialise in organising weddings in the Lucca, Bagni di Lucca and Barga regions of Tuscany. Amazing live band for your wedding in Italy. Tuscany, Como and Garda Lake, Venice and Rome. Music for ceremony, cocktail and wedding party. Solo piano, duo, trio and quartet. Swing, jazz, bossa nova, International and Italian pop music. The best soundtrack for your wedding in Italy! If it is your dream to get married in Tuscany let us help plan and organise your wedding. Whether you want a simple or a grand ceremony we can help make your special day just what you want. Our aim is to provide a personal, unique wedding planning service just for you. Imagine a romantic church surrounded by the splendour that is Florence, or the elegance of Lucca, the rustic charm of the Chianti country, or the charming intimacy of Pisa. Are you dreaming of a wedding in Tuscany? Finally, your dream can become a reality thanks to Juno Wedding & Events wedding planning service that supports you 360 degrees in the organization of your wedding. Wedding With a View Team will be your key to a successful and stress free wedding in Tuscany. 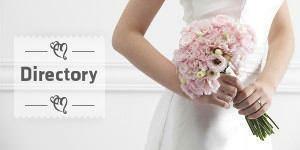 We guide you through religious ceremonies, civil procedures and dream estates. The Tuscan Celebration of your wedding will be unique, a small country chapel, a stunning city church, an Italian garden scenary or just rolling hills with vineyards, olive trees, golden wheat and poppies.